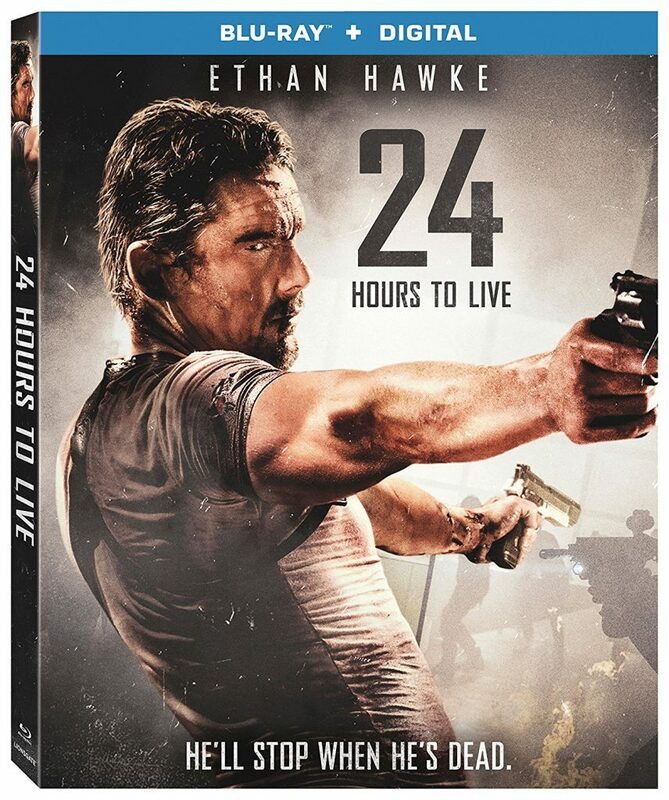 Official Release: Four-time Oscar® nominee Ethan Hawke (Best Supporting Actor, Boyhood, 2015) stars as an ex-mercenary who’s given one last shot at redemption in the wall-to-wall nonstop action-thriller 24 Hours to Live, exploding on Blu-ray™ (plus Digital), DVD and Digital February 6 from Lionsgate. The film is currently available On Demand. Directed by Brian Smrz, known for his stunt work on films like Live Free or Die Hard, Minority Report and Iron Man 3, and written by Ron Mita, Jim McClain, and Zach Dean, the film is produced by John Wick’s Basil Iwanyk, Gregory Ouanhon, and Mark Gao. This action-thriller is sure to keep you on the edge of your seat. The 24 Hours to Live Blu-ray and DVD will be available for the suggested retail price of $21.99 and $19.98, respectively. This entry was posted on Friday, January 12th, 2018 at 4:44 pm	and is filed under Film, News. You can follow any responses to this entry through the RSS 2.0 feed. You can skip to the end and leave a response. Pinging is currently not allowed. « Pixar’s ‘Coco’ is coming to 4K UHD and Blu-ray!